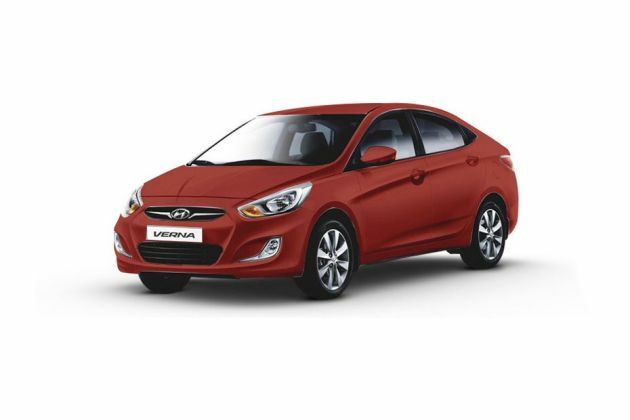 Hyundai India is the ancillary of the South Korean automobile giant, Hyundai Motor Company. They have a brilliant and reliable fleet of vehicles prevalent in the Indian car market. One such trendy and extremely stylish premium sedan in their stables is the Hyundai Verna Fluidic model lineup, which is being manufactured in both petrol and diesel options. There are quite a few options in the petrol model lineup to choose from and one of them is the Hyundai Verna Fluidic 1.6 VTVT EX AT , which is an automatic transmission variant. The company has fitted some very exciting and practical comfort features in this variant that will certainly amaze the customers. Apart from these luxuriant comfort features, the company has also fitted this sedan with some sophisticated safety features as well. The company has also bestowed this sedan with a power packed 1.6-litre petrol drive train that has a variable timing valve train. This commanding engine has been mated with a smooth and efficient 4-speed automatic transmission for better performance. The company has done a marvelous job with the exteriors of this fantastic looking Hyundai Verna Fluidic 1.6 VTVT EX AT trim. The front fascia has a wide radiator grille that has a lot of chrome treatment and a prominent insignia of the company embossed on it. The head light cluster is neatly shaped and has been fitted with powerful lamps along with the side turn indicators. The sides are smooth and the body colored handles also get some chrome treatment along with the side-view mirrors. This automatic variant is fitted with a robust set of sturdy 16-inch steel wheels and have tubeless radial tyres of size 195/55 R 16. While the rear end gets a striking tail lamp cluster, a two tone chrome rear garnish and a chrome tipped dual muffler add to the elegance of this premium sedan. The rear wind screen has been equipped with a rear defogger that also has a timer to enhance the convenience of the driver. The overall dimensions of this stylish sedan are quite liberal and can accommodate five passengers. The total length of this sedan is 4370mm along with a total width of 1700mm. The total height of this sedan is about 1475mm, while the roomy wheel base of this premium sedan is 2570mm. The minimum turning radius is 5.2 meters and this car also has a centrally mounted fuel tank, which can store up to 43 litres of fuel in it. The Hyundai Verna Fluidic 1.6 VTVT EX AT sedan has lavish interior features. The list includes blue interior illumination, a high gloss black and wood grain interior color scheme, all power windows, a chrome interior package that adds to the elegance of this automatic variant. Then there are also many other features such as the smart key with an illuminated start/stop button, a rear view camera along with rear parking sensors that show the display in the electro chrome internal rear view mirror, Bluetooth connectivity to pair phones along with steering mounted call controls as well. This sedan also has an automatic air conditioning unit and a clean air cluster ioniser. This sedan also has an electro chrome auto dimming internal rear view mirror, power adjustable and foldable external side-view mirrors, a brilliant driver information display that has up to the minute information on the sedan. Then there is an electric steering wheel that can be tilt adjusted according to the requirement of the driver. There are quite a few storage spaces as well all around this sedan such as a large glove box, map pockets, storage spaces in the doors and also in the space between the front seats as well. The company has fitted this powerful sedan with a performance packed 1.6-litre petrol mill that has been equipped with 4 cylinders . This commanding engine has the ability to displace 1591cc , which is quite remarkable and can generate 120.58bhp at 6300rpm in combination with a maximum torque of 154.94Nm at 4200rpm. This engine has been skillfully mated with a smooth 4-speed automatic transmission for better gear shifts . The company claims that this performance packed petrol drive train has the ability to generate a healthy mileage in the range of 12 to 15 kmpl. The powerful 1.6-litre petrol mill has been fitted with a variable timing valve train, which makes this sedan quite powerful on the Indian roads. This trim is said to attain a top speed in the range of 185 to 190 kmph and this powerful petrol mill can propel this premium sedan from 0-100 kmph in anywhere between 12-13 seconds, which is incredible . The company has fitted this sedan with a very sturdy and well balanced suspension system. The front axle of this premium sedan is fitted with a McPherson strut type mechanism along with a coil spring. On the other hand, the rear axle gets a couple torsion beam axle, which is steadfast and well built. The company has also fitted this premium sedan with gas type shock absorbers for added comfort of the occupants. Apart from the suspension mechanism, this trim has a proficient braking system as well. This sedan have been fitted with front and rear disc brakes. Apart from this, the company has also equipped this premium sedan with the highly developed Anti-lock Braking System and Electronic Brakeforce Distribution System for enhanced braking capabilities and better control of the car. The Hyundai Verna Fluidic 1.6 VTVT EX AT variant is equipped with some of the most impressive safety features for enhanced protection of this sedan as well as the occupants. The features that aid in improved handling of this sedan include an engine immobiliser with a central locking system, front fog lamps, impact and speed sensing automatic door locks , dualside impact beams for added protection from the sides, a highly developed clutch lock system and many more such vital functions that help this premium petrol sedan as well as the passengers to remain safe. The list of these convenience aspects include driver airbag for enhanced protection, both the front seats get back pockets to keep a few things handy, a theater dimming interior lamp with courtesy delay and a sunglass holder, driver and front co-passenger sun visors that also have a vanity mirror each, a front map lamp, a large and wide cooled glove box to keep for item storage, an ECO indicator, an alternator management system. The driver seat is adjustable and can be customised according to the needs of the driver. This sedan has also been equipped with a powerful 2-DIN audio system with four speakers and tweeters along with an MP3 player and other input options as well . This music system gets an audio hand remote and also steering mounted audio controls for the convenience of the driver. Fluidic exteriors, loaded with advanced features, a powerful engine. High cost of ownership, mileage can be improved.